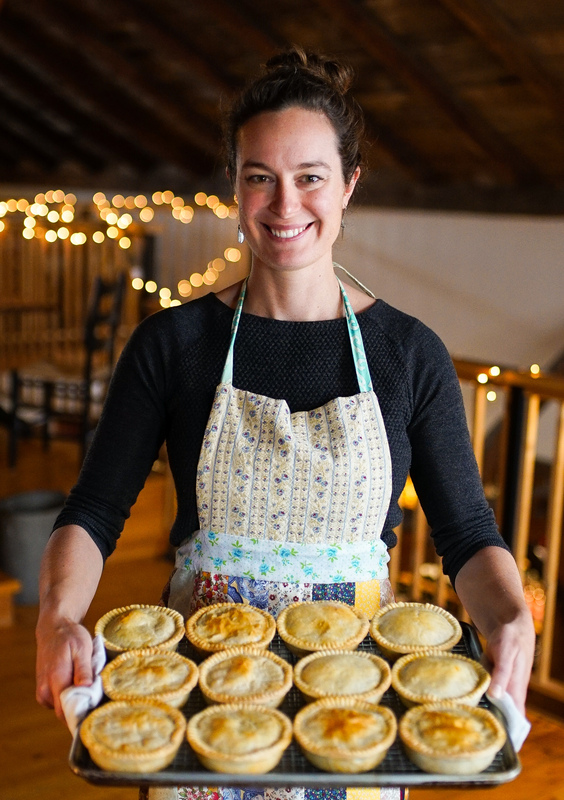 We have several flagship pies, our tried and true standards. We’re always working on new flavors, so let us know if you have a great idea for a pie! The classic. If you’ve never tried a pie before, we highly recommend this one! We slow-cook local steak and a bit of bacon in a savory ale-based gravy with onions, wild mushrooms and herbs. Taste of home. Whole roasted local chicken, shredded and cooked with local bacon and a creamy, herby gravy. The perfect comfort food. Exotic flavors in a familiar form. Curried lentils, carrots, onions, and sweet potato with just the right amount of spice. Creamy Indian curry made with tomatoes, onions, garlic, ginger, and a rich blend of spices. Comfort food with a little kick. Made with carrots, onions, celery, and the classic Frank’s Buffalo Sauce. Good morning, noon, or night! Bacon, egg, caramelized onion, Cheddar cheese, and a little parsley. Seasoned ground beef, charred bell peppers, and some Vermont Salumi chorizo for a little extra kick! One of our rotating specials throughout the year. Pulled pork, homemade BBQ sauce, mac & cheese – yes, mac & cheese – and corn fritter, all in a pie. One of our rotating specials throughout the year. Omigosh… brought home some of your pies from the Jericho Farmer’s Market today. Perfect. Absolutely perfect.